So your eyes are tired, droopy and starting to wrinkle -- not to mention the circles underneath them make you look like one of the undead. Well, there's good news -- it doesn't have to be this way! 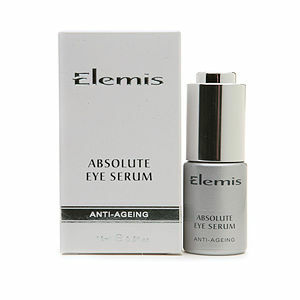 There are eye creams out there guaranteed to make all your problems disappear. Check out the best of the best. 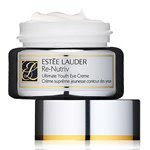 Estee Lauder Re-Nutriv Ultimate Youth Eye Creme: This one wins the title for longest name. Seriously, say that three times fast! But aside from that, it really gets the job done above and beyond what you might expect. Formulated with Estee Lauder's patented Youth Molecule, it hydrates and nourishes skin while minimizing dark circles to the point of oblivion. Not to mention the cream is so rich and lush, you only need a pinhead-sized amount to make it work. 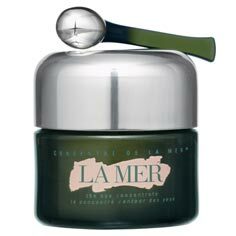 La Mer The Eye Concentrate: You'll hear me going on and on about this one for years. I honestly think that if there were a way for me to marry this eye cream, I would. Not only does it make fine lines, wrinkles and dark circles disappear within a matter of weeks -- never to return again! -- but the tiny silver scooper it comes with always stays cold and just makes me feel like a princess each and every time I use it. I would buy this again and again and again and ... okay, you get the point. Bottom line: If you have the disposable income and want to make yourself feel special, buy this. Immediately. Elemis Absolute Eye Serum: Okay, technically this isn't a cream. But it still fits the bill for turning eyes from scary and sallow to gorgeous and glowing. The lovely cooling effect is paired with soothing essences of comfrey, lavender and chamomile, it smells divine, and it feels incredibly luxe against the skin. You'll be shocked at how supple the under-eye area will become in just a few short weeks! 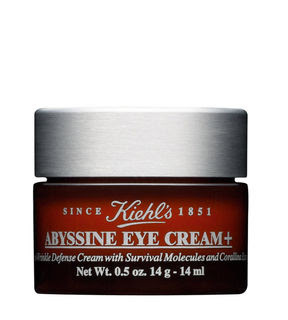 Kiehl's Abyssine Eye Cream +: Lush? Check. Adequately defensive? Check. Affordable? Double check. The cheapest cream of the bunch, this one definitely doesn't skimp on look or feel -- and your eyes will appreciate the richness it provides. Plus the deep amber-hued tube is quite visually dynamic compared to the usual white bottles and tubes reserved for skincare. NIA24 Eye Repair Complex: Now, I'm not going to lie. This cream really doesn't smell that great -- sort of like sour cream. But you simply must get past that fact, because once you try it you'll never quit. Rich in antioxidants such as green tea and rosemary, and formulated with NIA24's patented Pro-Niacin complex, it strengthens and tightens the skin while providing a luscious cooling effect. And it sinks into skin instantly, so there's no need to protect your pillow as you sleep. It seems a slightly off smell is worth it for the rich rewards, n'est ce pas? Estee Lauder Re-Nutriv Ultimate Youth Cream contains South Sea Pearls, calming red and brown algae, grape seed extract and tocopheryl linoleate. This formula promotes a youthful and glowing appearance. The extracts of olive restore moisture to the eye while caffeine reduces puffiness.